The Municipality of Vrapcisht organized on Wednesday 06 March 2019 a Conference under the BIOPROSPECT project. 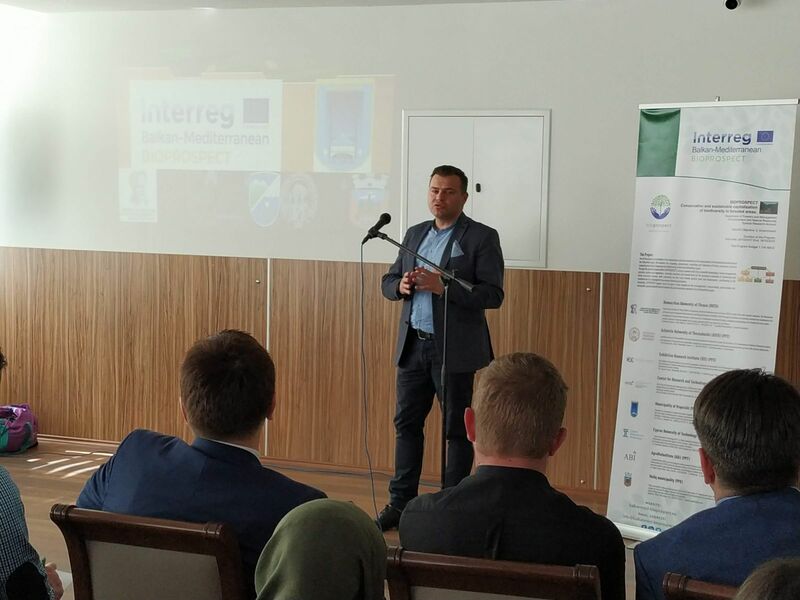 The Conference was held at M-Line restaurant in v. Gradec in Municipality of Vrapcisht, under the topic «Informing and mobilizing stakeholders and social partners in the fo rested area of Municipality of Vrapcisht with the aim of optimally supporting the ecosystem and the value of its services». During the conference BIOPROSPECT project was thoroughly presented, and its implementation was explored. In addition, the possibilities of coordinating and organizing interactive activities aiming at the optimal support of the ecosystem and the value of its ecosystem services were also presented. The conference attended about 40 participants including stakeholders such as municipalities, NGOS, local authorities and the public.